The wife of the senior pastor of the Fountain of Life church in Lagos, Nomthi Odukoya, has testified of Sumbo Adeoye’s defiant faith and selfless service! Pastor Nomthi Odukoya shared on Instagram as she welcome Sumbo Adeoye’s baby with her husband, David Adeoye, after 5 years of marriage. 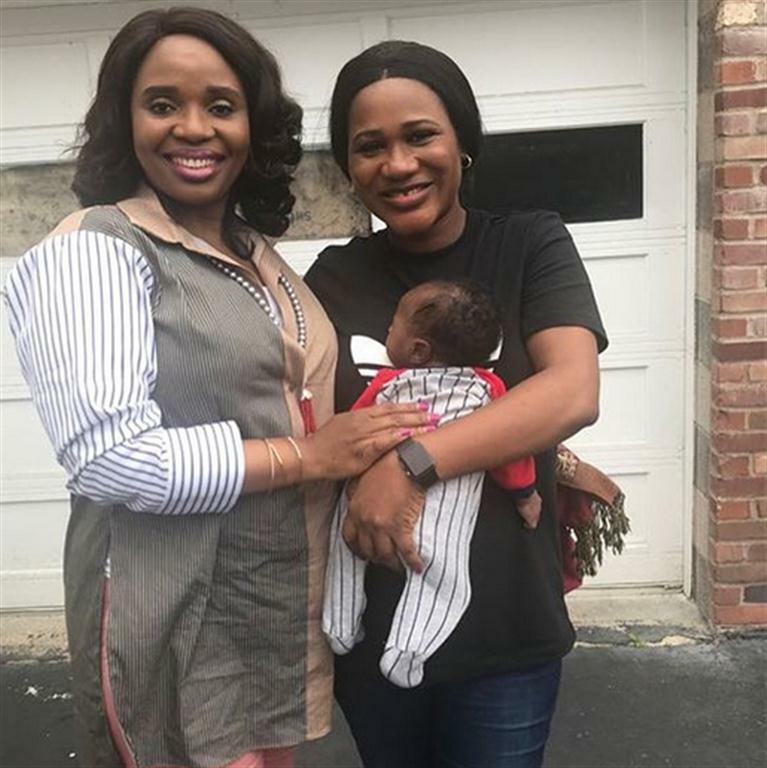 According to Nomthi, Sunmbo who was in time past linked with Nigerian music artiste 2Face Idibia, went through many trials before she welcomed her son, David. She said there was also a time Sumbo went straight to the alter after she left the hospital where she just had another miscarriage! “If you and I ever get to talk about strong women, I would definitely mention @sunmboadeoye ‘s name. You don’t want to know how many expected due dates she received before David, that she didn’t get to see. But she still kept her smile and kept on trusting God. One time she left from the hospital straight to the pulpit to preach in a conference without anyone knowing that she had just lost her baby. What about last year when she had to return back home alone from a trip where she went to have a baby and still moved on with her life. I can’t count the number of times blogs reported she was pregnant after a loss because of the bloated tummy. To God be the glory, David is here and she has victory over miscarriages. She is a blessing to womanhood. God eventually came through for her. I just had to make out time to congratulate her. God will come through for you too in yoursituation?. Was Kennis Music Boss Kenny Ogungbe Ordained At the Last RCCG Convention?